Rather than 22.5W as claimed, we only managed to observe mostly 15W based charging when using the Huawei SuperCharge charger with the Huawei P10 phone in this review. 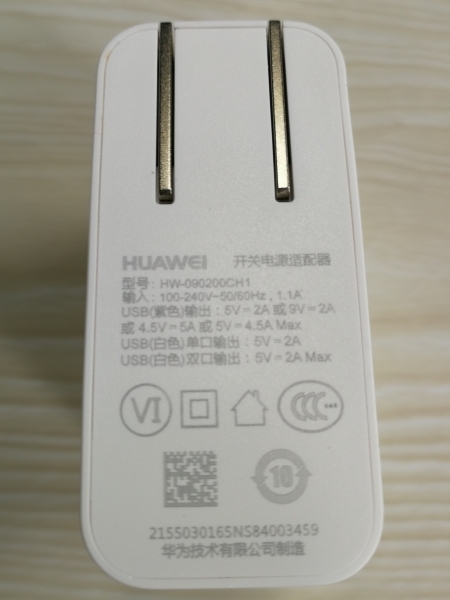 Yet we were again disappointed when we tested the Huawei P10 with the Huawei SuperCharge MultiPort Charger, which also advertised 22.5W but delivered only about 15W charging power. 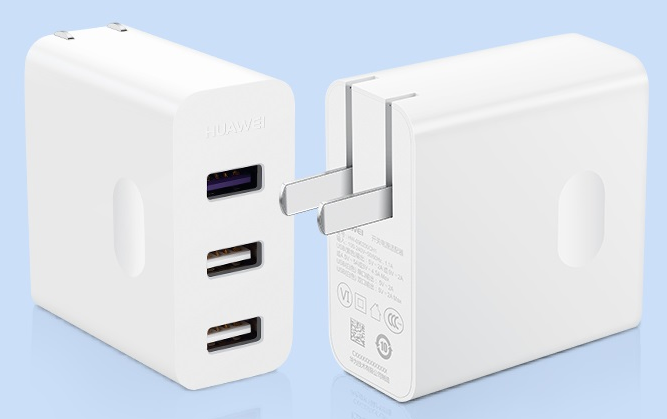 Fortunately, the Huawei SuperCharge MultiPort Charger was able to completely charge the Huawei P10 faster than the 126 minutes seen with the Huawei SuperCharge charger, which clocked in a total of about 100 minutes. 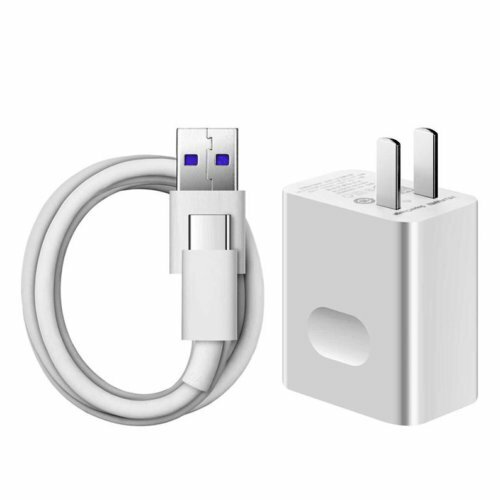 Similarly we used the Huawei SuperCharge USB Type-C to USB Type-A cable that is required to supply up to 22.5W to connect between the P10 and the charger's SuperCharge enabled USB Type-A (4.5V/5A or 5V/4.5A) port. Upon plugin, we could immediately see the VBUS rising up to 5 volts with no current flowing. This is unlike USB Power Delivery transactions which don't turn on VBUS until a USB Power Delivery power contract is established. The Huawei P10 from a fully drained battery initially pulled around 18 watts but then quickly reduced charging to settle at mostly around 14 watts. The current then dropped down further to result in about 7 watts charging in the first hour. Later the voltage could be seen to increase to about 5.2 volts as the current eventually ramped down to within 0.3 amps when the battery almost reached full charge. This similar trend of charging was also observed with the Huawei SuperCharge charger where the charger only briefly delivered >15W at the starting point, but after which the power mostly stayed within 15W, which is a lot lower than 22.5 watts. Click here to download the trace captured by the GRL-A1 power analyzer to view the entire power charging cycle.